This will change how we Eritreans see pm abiy from now on. 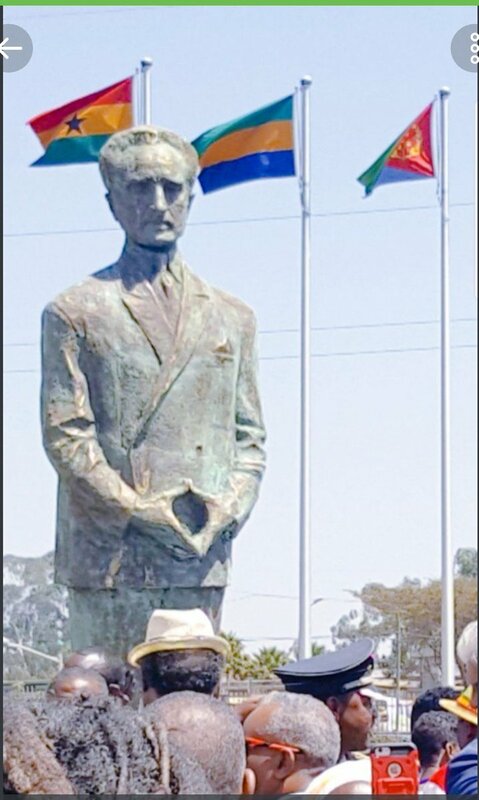 The man who massaccred countless Eritreans in order to forcefully annex Eritrea is awarded with statue at the AU headquarters. Ironically, the nation's flag who he tried to bury is right above his statue. It will serve as a constant reminder of his failure to crush Eritrea. Re: This will change how we Eritreans see pm abiy from now on. F*xk you [email protected], we will erect the statue of colonel Mengustu if we want. Erect The statue in your anxxus kkkkkkkkkkkkkkkkkkkk, i am sure, you Will enjoy it. Haileselassie was a Tigrayan by father from Wersege Tembien and Adere mother but Haileselassie was good for the Amhara and Eritrean people. Haileselassie was very bad for Tigray, Mengistu was better for Tigray but we fought him hard and kicked him out at heavy cost to Tigray every other ethnic to enjoy and Eritrea to be independent nation.